People worried about catching the flu in West Warwick, Rhode Island, were much more concerned about mercury exposure when a thermometer broke at Greenbush School, where a vaccine clinic was being held. Apparently, nobody at the clinic had any idea that many influenza vaccines contain up to 25,000 parts per million (ppm) of mercury, and they were all about to get injected with it, when they were serendipitously “saved” by the same hazardous material when it hit the floor. Thanks to a hazardous materials team equipped with protective gear and masks, no humans or babies touched or breathed in the deadly mercury — and nobody was injected with it either. Little do these same health department workers realize that mercury is much more deadly to humans when injected, rather than touched or inhaled, because it bypasses the skin and lungs, key filters the human body uses to filter toxins before they invade the blood, cleansing organs, heart and brain. Two students pocketed a couple bottles of methyl mercury from their science class so they could show their friends in the gym locker room how cool it looks when it balls up on the floor. Teachers figured it out later that day and immediately called 911. Police alerted a hazardous materials squad to come in, evacuate the entire school, and clean up the most toxic non-radioactive element on earth, while parents worried if their kids touched it or breathed in the deadly vapors. Why were the parents so terrified of mercury? Once mercury enters the body, it damages the central nervous system. Even more toxic than fluorine, at microscopic levels, mercury damages the heart, kidneys, the brain, the lungs, and yes, the immune system. 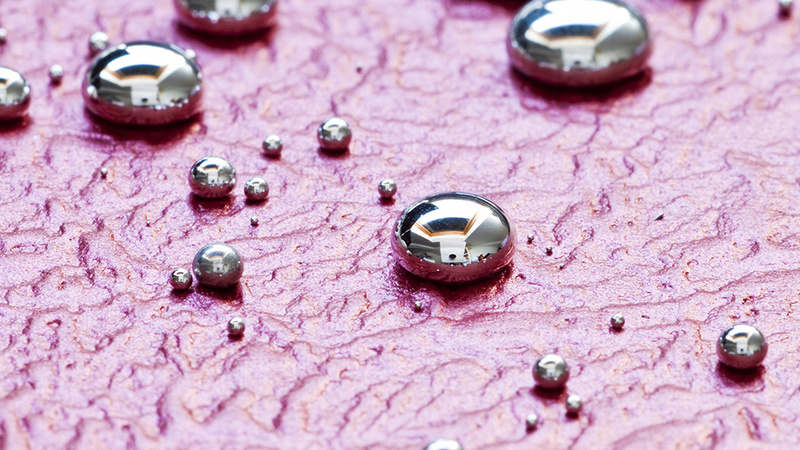 Short term symptoms of mercury poisoning are very similar to symptoms of extreme allergic responses to vaccinations, including shortness of breath, chills, chest pain, nausea, vomiting, diarrhea, fever, hypertension and severe headaches. Make no mistake: Thimerosal is 50 percent mercury, and there is NO amount that is safe to inject into humans, ever. The Environmental Protection Agency considers even just 1/25,000th of the amount of mercury found in influenza vaccines to be a major threat to humans and the environment when found in fish or water, and warns pregnant women. Still, health care workers evacuate entire buildings when mercury is spilled, but proudly volunteer to be injected with it in hopes of avoiding the flu, which becomes much more of a life-threatening sickness when the human immune system is severely compromised after injecting mercury. Go figure. Mercury spills rank 3rd highest on a list of 400 hazardous substance spills. A mercury spill cleanup has to be very thorough. Even microscopic residual beads or droplets left behind can increase contamination, lead to long-term exposure, and then more cleanup costs. When mercury is spilled indoors, sometimes entire schools, hospitals, nursing homes, and prisons are shut down and relocated. The main sources of mercury spills are reported to come from gauges and meters, private residences, sanitation industries, health care facilities (think vaccines), and schools. According to the CDC website “pink book” that displays currently approved vaccines and their ingredients, deadly mercury is still in vaccines, even though the CDC swore up and down more than a decade ago that it was removed from all childhood vaccines. Why then does the CDC recommend injecting mercury into pregnant women and 6-month-young infants with the influenza vaccine? Since when does the term “childhood” exclude infants and even children about to come out of the womb? Influenza (Flulaval) Trivalent & Quadrivalent: ovalbumin, formaldehyde, sodium deoxycholate, ?-tocopheryl hydrogen succinate, polysorbate 80, thimerosal (multi-dose vials). Influenza (Fluvirin): ovalbumin, polymyxin, neomycin, betapropiolactone, nonylphenol ethoxylate, thimerosal. Influenza (Fluzone) Quadrivalent: formaldehyde, egg protein, octylphenol ethoxylate (Triton X-100), sodium phosphatebuffered isotonic sodium chloride solution, thimerosal (multi-dose vials), sucrose. The CDC lied to us repeatedly and still lies today. Never get injected with mercury, because no hazmat team in the world can simply “clean you up.” There’s a reason one in every 50 kids today are suffering from autism, and it’s not because of some inherited gene, as the medical doctors would have us all believe.